Editor’s Note: Harriet Tubman’s name at birth was Araminta Ross (She later changed her first name to Harriet, after her mother). Introduction: She was one of 11 children of Harriet and Benjamin Ross born into slavery in Dorchester County, Maryland. As a child, Ross was “hired out” by her master as a nursemaid for a small baby, much like the nursemaid in the picture. Ross had to stay awake all night so that the baby wouldn’t cry and wake the mother. If Ross fell asleep, the baby’s mother whipped her. From a very young age, Ross was determined to gain her freedom. As a slave, Araminta Ross was scarred for life when she refused to help in the punishment of another young slave. A young man had gone to the store without permission, and when he returned, the overseer wanted to whip him. He asked Ross to help but she refused. When the young man started to run away, the overseer picked up a heavy iron weight and threw it at him. He missed the young man and hit Ross instead. The weight nearly crushed her skull and left a deep scar. She was unconscious for days, and suffered from seizures for the rest of her life. 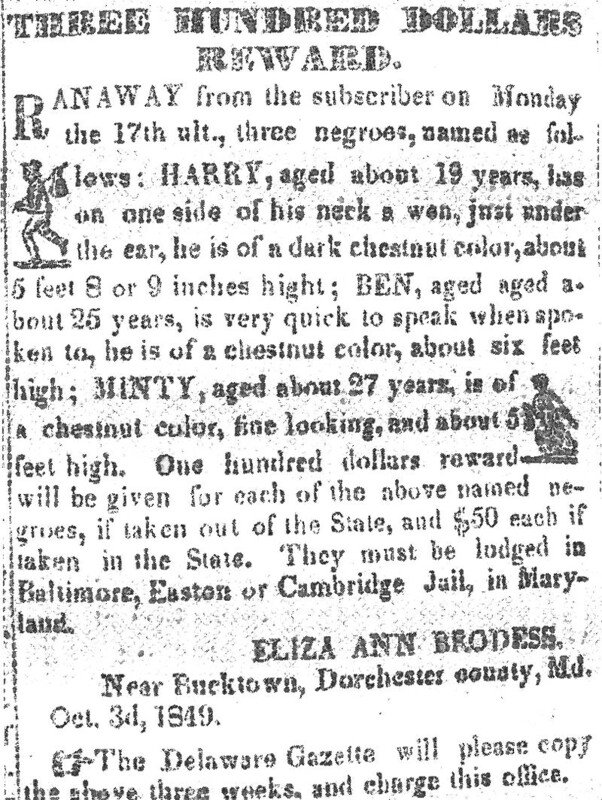 By 1856, Tubman’s capture would have brought a $40,000 reward from the South. On one occasion, she overheard some men reading her wanted poster, which stated that she was illiterate. She promptly pulled out a book and feigned reading it. The ploy was enough to fool the men. In 1865, Harriet began caring for wounded black soldiers as the matron of the Colored Hospital at Fortress Monroe, Virginia. Tubman worked as a nurse during the war, trying to heal the sick. Many people in the hospital died from dysentery, a disease associated with terrible diarrhea. Tubman was sure she could help cure the sickness if she could find some of the same roots and herbs that grew in Maryland. One night she searched the woods until she found water lilies and crane’s bill (geranium). She boiled the water lily roots and the herbs and made a bitter-tasting brew that she gave to a man who was dying-and it worked! Slowly he recovered. Also in 1868, Harriet began working on her autobiography with Sarah Hopkins Bradford, a white schoolteacher in Auburn, New York. It was published in 1868, then later under a revised title in 1886 (see below). In 1869, Harriet married Nelson Davis, a Union veteran half her age who had been a boarder at her house. He died of tuberculosis in 1888. In 1896, she took up the suffragist cause and was a delegate to the National Association of Colored Women’s first annual convention. She believed the right to vote was vital to preserving their freedom. Around the turn of the century, she bought 25 acres of land near her home with money raised through benefactors and speaking engagements, and made arrangements for the African Methodist Episcopal Zion Church to take over the Home. She had worked closely with this church since the 1850s. 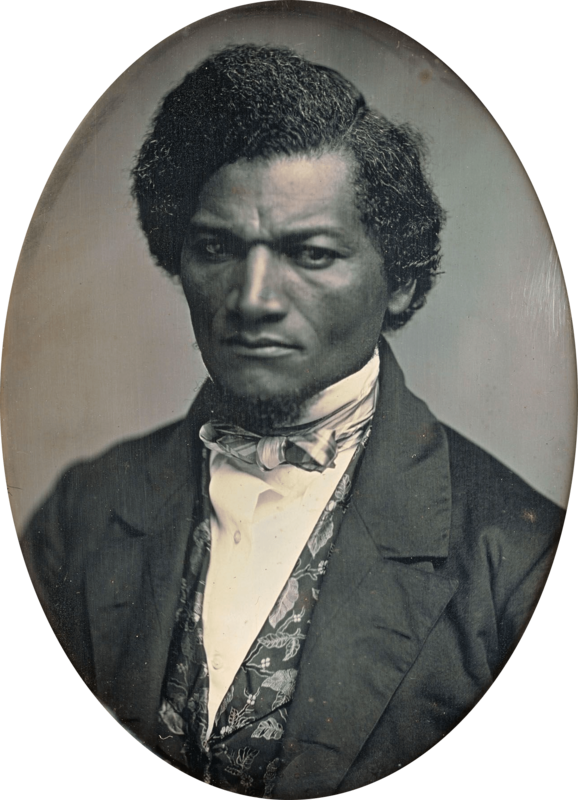 Through it, she had come to befriend Frederick Douglass, who had briefly published his abolitionist newspaper, The North Star, there. In 1911, Harriet herself was welcomed into the Home. Upon hearing of her destitute condition, many women with whom she had worked in the NACW voted to provide her a lifelong monthly pension of $25. 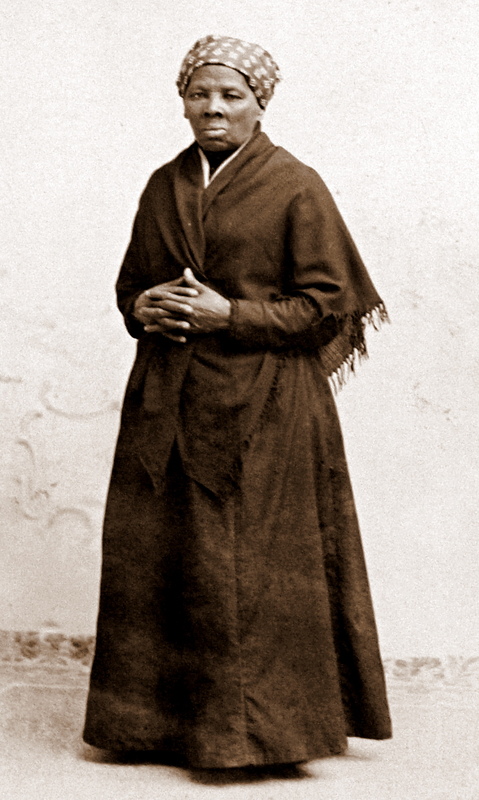 Living past ninety, Harriet Tubman died in Auburn on March 10, 1913. She was given a full military funeral and was buried in Fort Hill Cemetery. The women of the NACW also paid the funeral costs and purchased a marble headstone. One year later, the city of Auburn commemorated her life with a memorial tablet at the front of the Cayuga County Courthouse. In 1944, Eleanor Roosevelt christened the Liberty Ship Harriet Tubman, and in 1995 the U.S. Postal Service honored her life with a postage stamp. Harriet Tubman has been memorialized with a plaque in the The Extra Mile — Points of Light Volunteer Pathway located on the sidewalks of downtown Washington, D.C. The Extra Mile is a program of Points of Light Institute, dedicated to inspire, mobilize and equip individuals to volunteer and serve. The Extra Mile was approved by Congress and the District of Columbia. It is funded entirely by private sources. You should cite this article in the same way as you would an encyclopedia article without a specific author. I hope that Wm Towit and his family made it to Chicago Il. It is sad to think that people would be tracked down like dogs back in the day. Shame on you (Wm Russell).